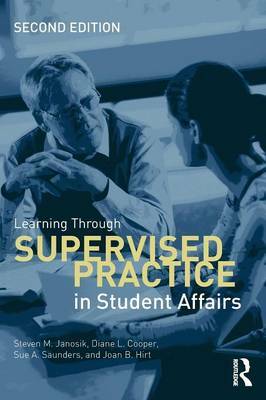 For future student affairs professionals and higher education administrators, the supervised practice experience is where theory learned in the classroom is put into practice. Learning through Supervised Practice in Student Affairs assists students in applying leadership, advising, conflict management, and planning skills to their practice. This important book explores the theories that foster learning and understanding of higher education organizations while exercises, reflection activities, and case studies illuminate the skill areas that students must develop to become successful practitioners. Learning through Supervised Practice in Student Affairs bridges the gap between theory and practice, assisting students and site supervisors in constructing a practicum or internship experience that successfully contributes to learning and professional development. "This second edition is a valuable update for graduate faculty, field supervisors, and professionals-in-training in higher education. The authors address the importance of out-of-class learning and how each stakeholder can support the development of new professionals. Their tools for designing experiences and evaluating both sites and students are particularly useful." "Building on the superb foundation of the first edition, this edition updates and extends professional knowledge and practice in important ways. Inclusion of the 2010 ACPA/NASPA Joint Statement on Professional Competencies is a particular strength, and creates a clear connection to the preparation of professionals in graduate programs and through ongoing professional development in supervised practice. Questions and exercises for readers deepen learning and open conversations in the classroom and on supervised sites. The new edition is an invaluable resource for professional preparation."